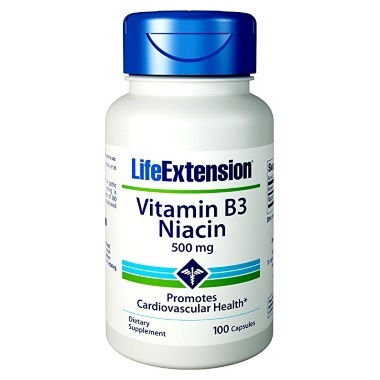 I bet you have already heard of claims that niacin (also known as vitamin B-3) can potentially help you to lose weight. 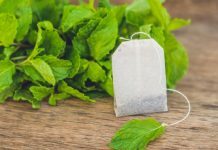 Not only that, it comes with many other benefits, such as stress reduction, increased energy levels, protection of your red cells, reduction of cholesterol and many more. 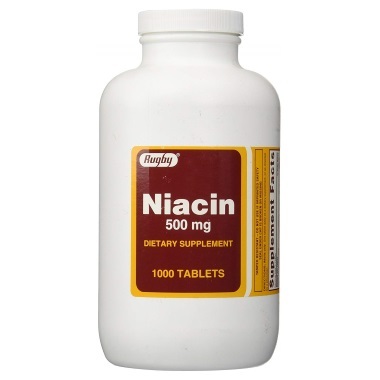 There are many brands of niacin supplements on the market you can choose from and sadly, one can get lost easily. 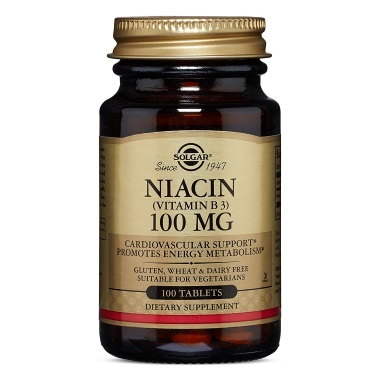 That is why I have created this list of 10 high-quality brands offering niacin/vitamin B-3. Just keep in mind that this list has no winner or loser as all these brands are great and worth a try. Some are more potent, while others are more affordable. All you have to do is to learn about individual benefits, disadvantages, and specifications of each brand and find the niacin supplement that will work for you the best. Tru Niagen is a good brand that deserves a place on this list. This product is made by a company called ChromaDex, Inc. This company has been founded in 1999 and deals mostly with dietary supplements and food ingredients. This brand uses nicotinamide riboside chloride as its active substance. Individual pills are not that potent, each offers just 125 mg of niacin. This is a good option for those who want to introduce niacin in small doses first and then gradually increase the dosage to avoid flushing. A single container contains 60 pills and you should take up to 2 pills a day in the morning. So, a single bottle should last you approximately one month. 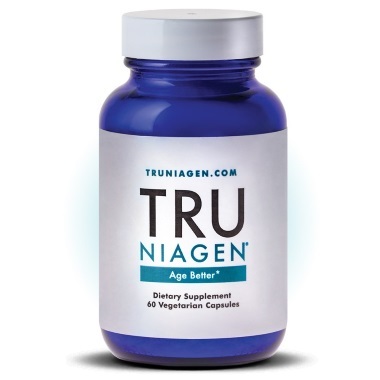 I like the fact that the Tru Niagen is made in the USA by a company that has some good history on the market for dietary supplements. Also, it provides a very promising form of niacin – nicotinamide riboside chloride. The potency of 125 mg per pill is great if you want to introduce niacin to your body gradually. Sadly, this supplement can get quite costly as one bottle will last you only one month as long as you follow the recommended dosage rules. This niacin is made in the USA by a company called Nature’s Bounty, Inc. It was founded in 1971 and since then has established a solid position in the market for dietary supplements. Nature´s Bounty uses niacin in the form of flush-free inositol hexanicotinate. They offer potent pills with a 500 mg of active substance (400 mg of niacin and 100 mg of inositol). As this potency is quite high, it is great that they offer a flush-free option. A single container of Nature’s Bounty Niacin contains 120 capsules and you should take just a single pill a day in the morning. A single bottle should last you approximately 4 months according to official dosage rules. This company has a long history on the market. It includes a flush-free version of niacin (inositol hexanicotinate). This company offers very potent pills (500 mg of niacin per single pill). Offers solid 120 capsules in a single bottle. Just keep in mind that inositol hexanicotinate is great to avoid side-effects of niacin but there is a lack of solid scientific evidence that this form can lower your cholesterol levels as effectively as nicotinic acid. Another brand of niacin that is combined with niaxtend is made by the company called Doctor´s Best, Inc. This company was founded in 1990 with an aim to produce science-based nutritional supplements. What is more, this brand offers more than 200 products. 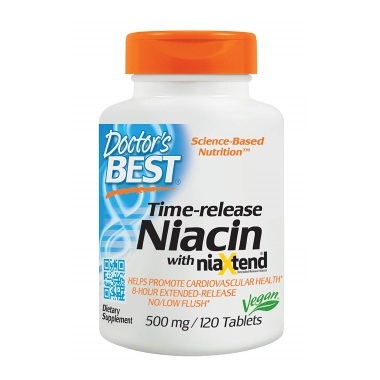 Doctor´s best uses niacin in the form of nicotinic acid (sustained release). They offer potent pills with a 500 mg of active substance (500 mg of nicotinic acid). As this potency is quite high, they provide a sustained release form that minimizes chances of flushing. A single container of Doctor´s Best Niacin contains 120 capsules and you should take just a single pill a day in the morning. A single bottle should last you approximately 4 months according to official dosage rules. Provides sustained-release nicotinic acid to minimize flushing. A daily dose of just 1 pill. As you can see, this option is very promising with many advantages. The best part is the fact that it offers timed-release of nicotinic acid that minimizes chances of experiencing side-effects. The company called Rugby Laboratories is a leading provider of high-quality over the counter, vitamin, and nutritional supplement products with more than 40 years of history. They also produce one of the most affordable niacin supplement on the market. Rugby Laboratories includes niacin in the form of nicotinic acid (probably immediate release). They offer potent pills with a 500 mg of active substance (500 mg of nicotinic acid). As this potency is quite high and the used version is probably “immediate release”, the chance of experiencing side-effects can be quite high. A single container of niacin made by Rugby Laboratories contains 1000 capsules and you should take just a single pill a day in the morning. A single bottle should last you approximately 33 months (2 and 3/4 years) according to official dosage rules. Offers huge container with 1000 capsules. This is a budget-friendly option that provides an incredible 1000 capsules per single bottle. However, as I was not able to identify the form of niacin on the product label, I can assume that it is an immediate release version of nicotinic acid that can often cause flushing and other side-effects. Niacin by Now Foods is another brand I really love. This company has a solid place in the market for dietary supplements. It has been established in 1968 and has a lot of experience in creating vitamins and other products. This brand uses niacin in the form of nicotinic acid (probably immediate release). Now Foods offers potent pills with a 500 mg of active substance (500 mg of nicotinic acid). As this potency is quite high and the used version is probably “immediate release”, the chance of experiencing side-effects can be quite high. A single container of niacin made by Now Foods contains 100 capsules and you should take just a single pill a day in the morning. A single bottle should last you approximately 3 months according to official dosage rules. This company has a 50 years-long history on the market. Offers a solid container with 100 capsules. 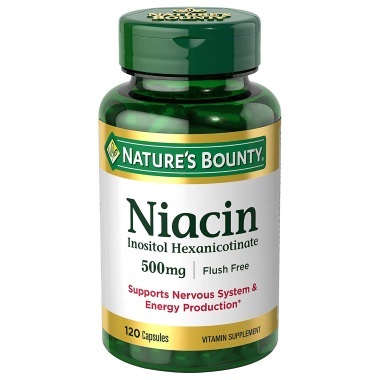 As I was not able to identify the form of niacin on the product label, I can assume that it is an immediate release version of nicotinic acid that can often cause flushing and other side-effects. Life Extension is a well-known brand of supplements available these days. It is made by a company called Quality Supplements and Vitamins, Inc. This company was established in 1980 and has over 35 years of experience with dietary supplements. This brand uses niacin in the form of nicotinic acid (immediate release). Life Extension offers potent pills with a 500 mg of active substance (500 mg of nicotinic acid). As this potency is quite high and the used version is probably “immediate release”, the chance of experiencing side-effects can be quite high. A single container of niacin made by Life Extension contains 100 capsules and you should take just a single pill a day in the morning. A single bottle should last you approximately 3 months according to official dosage rules. This company is over 35 years on the market. Another niacin supplement on this list is made by a company called Solgar, Inc. This company was established in 1947 and has over 70 years of experience with dietary supplements. Solgar offers pills with just 100 mg of active substance (100 mg of nicotinic acid). This is a good option for those who want to introduce niacin in small doses first and then gradually increase the dosage to avoid flushing. A single container of niacin made by Solgar contains 100 tablets and you should take just a single pill a day in the morning. A single bottle should last you approximately 3 months according to official dosage rules. Solgar is another well-known brand of dietary supplements with over 70 years of experience. It was established in 1947 and has established a great reputation since. Solgar provides niacin in the form of nicotinic acid (immediate release) and I love the fact that their pills include just a 100 mg of active substance. Why? Because the immediate release form may cause flushing if taken in high doses. This is a more affordable option for those who want to introduce niacin gradually. Still, this supplement can get quite costly especially in cases when you need a high daily dose. This brand of premium-quality niacinamide is created by a company called Nature´s Way Products, LLC. This is another company with a lot of experience in the field of dietary supplements as it as established in 1969. Nature´s Way utilizes niacin in the flush-free form of niacinamide. This company offers potent pills with 500 mg of active substance. As this potency is quite high, it is great they offer a flush-free option. A single container of niacin made by Nature´s Way contains 100 capsules and you should take just a single pill a day in the morning. A single bottle should last you approximately 3 months according to official dosage rules. Even Nature´s Way is a brand of dietary supplements with a long history (almost 50 years on the market). They have chosen to utilize a non-flushing form of niacin that has good results. Also, I love the fact that they offer 100 pills per container that provide a concentrated dose of 500 mg of active substance. Just keep in mind that niacinamide is great to avoid side-effects of niacin (flushing) but there is a lack of solid scientific evidence that this form can lower your cholesterol levels as effectively as nicotinic acid. BioPhix Nicotinamide is made by a company called Biophix Health & Nutrition. This company was created in 2006 and now is a Division of Health Genesis Corporation (established in 1998). Biophix utilizes niacin in the flush-free form of nicotinamide. A single container of niacin made by BioPhix contains 100 capsules and you should take just a single pill a day in the morning. A single bottle should last you approximately 3 months according to official dosage rules. I love the fact that BioPhix Nicotinamide is GMO-free and made in the USA in an NSF (National Sanitation Foundation) and GMP (good manufacturing practice) certified facility. Also, it is good that they utilize a non-flushing form of niacin that has good results. Their bottles of 100 capsules with 500 mg of active substance will last you approximately three months. Just keep in mind that nicotinamide is great to avoid side-effects of niacin (flushing) but there is a lack of solid scientific evidence that this form can lower your cholesterol levels as effectively as nicotinic acid. NiaCel-250 is made by a company called Thorne Research, Inc. This company was established in 1984 and is over 30 years on the market. 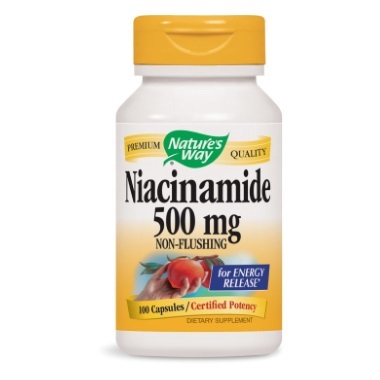 NiaCel-250 utilizes niacin in the form of nicotinamide riboside chloride. Individual pills are not that potent, each offers just 250 mg of niacin. This is a good option for those who want to introduce niacin in small doses first and then gradually increase the dosage to avoid flushing. A single container contains 60 pills and you should take up to 2 pills a day. So, a single bottle should last you approximately one month. I love the fact that NiaCel is made by a company that stands behind their products and uses the highest-quality ingredients. 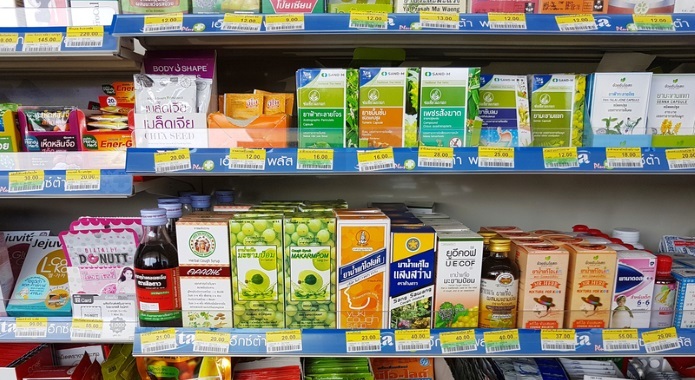 It also has some good history on the market for dietary supplements. 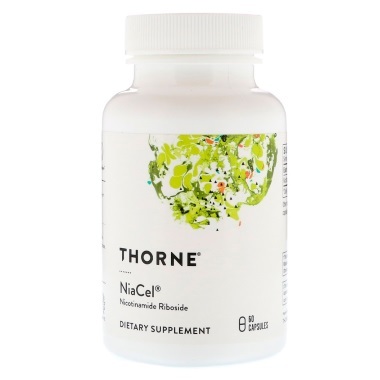 Also, Thorne Research provides a very promising form of niacin – nicotinamide riboside chloride. 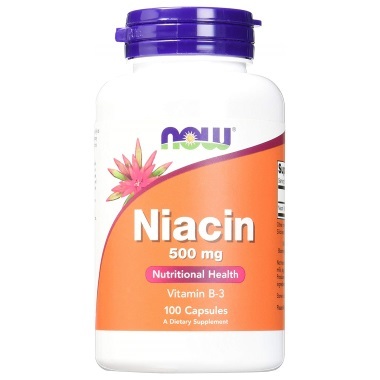 The potency of 250 mg per pill is great if you want to introduce niacin to your body gradually. Sadly, this supplement can get quite costly as one bottle will last you only one month as long as you follow the recommended dosage rules. As you will see when shopping for niacin (vitamin B-3), there are many brands on the market these days. Not only that, there are several versions of this vitamin available, each with different properties and absorption rate. To make things even more complicated, you need to consider the experience and qualities of the manufacturer, potency, daily dosage, a price of the supplement, and how long will a single bottle last. As you can see, there is a lot to keep in mind for an average consumer. That is why I have decided to deal with the individual aspects in more detail and give you my personal tips. I hope that thanks to my help, you will make a well-informed shopping decision. The first thing you should always take a look at should be the producing and distributing company. I always have some questions that need to be asked. Is this company new in the market for supplements? Does it produce other supplements as well? Don’t take me wrong. Even a completely new company in the market can produce the highest-quality supplements. However, my general rule is to make a purchase only from the reputable brands that have some history behind them. Also, have a look at their money-back guarantee. If they stand 100% behind the products they manufacture, they will offer it. To make things much more complicated, there are many forms of artificial niacin on the market. Each one has different benefits and disadvantages. Which one to choose? Nicotinic Acid (IR) – Immediate release (IR) nicotinic acid is known as “fast release” form of niacin that goes directly into your blood. This form can often cause side-effects such as flushing, warmth, and itching. If your product label does not state the precise form of niacin, it usually is the IR version. Nicotinic Acid (SR) – Sustained release (SR) nicotinic acid is known as “timed release” form of niacin that releases niacin into your body over a longer time period. Side-effects are still possible but should be milder than with the IR form. Just keep in mind that SR nicotinic acid has an increased risk of liver toxicity, which is rare in those taking IR and ER products. Nicotinic Acid (ER) – Extended release (ER) nicotinic acid takes longer to get into your bloodstream than IR but faster than SR form. 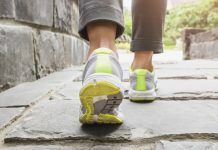 You can get ER form from your doctor as Niaspan. You still may experience the most common side-effects but liver toxicity should be no concern. 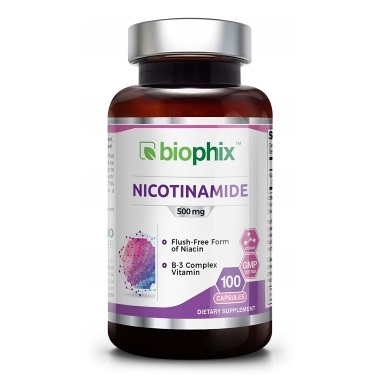 Nicotinamide – Nicotinamide, also known as niacinamide, is present in nature in only small amounts, however, it is the main form of vitamin B3 in plasma. It is often sold as “flush-free” form of niacin. Inositol Hexanicotinate – Also this form is often sold as “flush-free” niacin. Just keep in mind that if you are purchasing Vitamin B-3 to lower your cholesterol, you should go for nicotinic acid (most studies used this form) as there is little evidence that nicotinamide and inositol hexanicotinate reduce triglyceride levels. You should definitely check the potency of each ingredient on the supplement label as well. At least I always do. Actually, I am always trying to ask several questions. Are there precise numbers for volumes of individual ingredients used in the supplement? Are these numbers more concentrated than those provided by other competing brands? 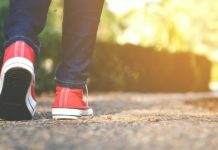 If you have answered yes to both questions, then this brand seems to be a good choice (but you have to consider other points in this guide as well). 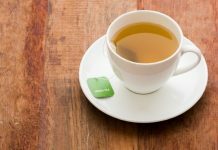 Just keep in mind that the information about potency on the product label is usually provided for a daily serving that can include not only one but several pills depending on the dosage. Another thing you should consider before making your purchase is the dosage of supplement. Some brands (usually those offering less concentrated product) may be cheaper but require you to take more pills per day. I personally love those options, that require eating only one capsule, ideally only once (maximum twice per day) as I often forget to take the second pill during the day. Price is one of the most important and most misunderstood factors when comparing two or more brands of supplements. Let me explain. Potency – When considering your purchase, you should look at the content of active substances in your supplement and go for the most potent brand. 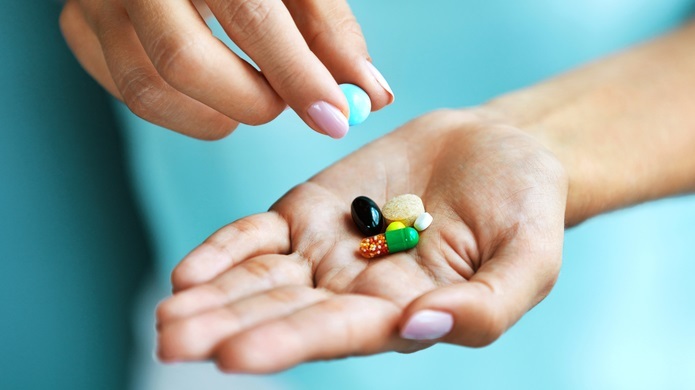 A number of capsules – You should try to go for the biggest number of pills per package. Daily dosage – It is a big difference if you have a dosage of one pill or more per day. When analyzing the price of two or more supplements, you should always compare the price per milligram/gram of active substance per each individual product. Ideally, you should go for a brand that has the most potent pills, has the highest number of capsules per bottle, and minimal dosage. You would be surprised that not always is the cheapest option the least expensive. 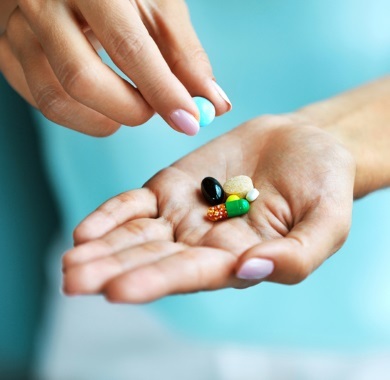 To get a relevant information on the price of a supplement that can be used for product comparison, you need to divide the price of a bottle of supplement by the number of pills inside that bottle. Now you have a price per pill. However, as each product may have a different level of concentration of the active substance (in this case niacin) and different dosage recommendations, you need to divide the price of a pill by the number of milligrams of active substances that are inside it. Only now you have a price per milligram of active substance that can be easily compared between all brands.